This season doesn’t seem to be letting up with excitement just yet. 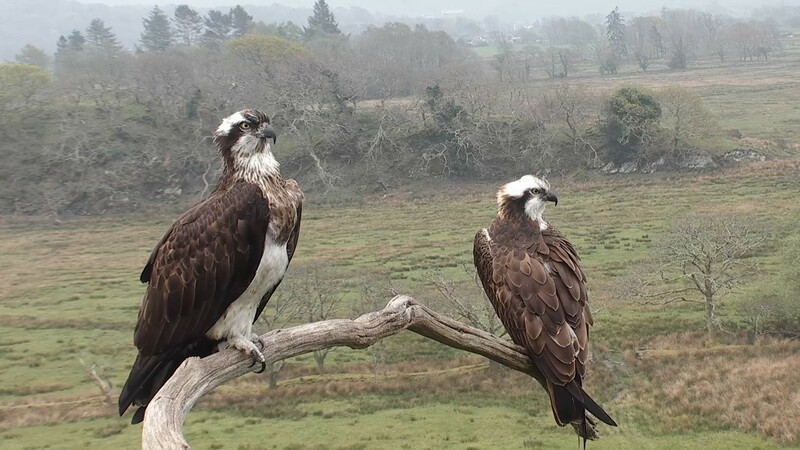 The news that yet another Glaslyn chick has been sighted back in the UK brought us great delight. This time Blue W0, a chick from 2015, the first year Aran and Mrs G bred together. Blue W0 was photographed by Sam Hood on Monday, intruding at the osprey nest at Threave Castle, in Dumfries & Galloway. This is the nest that Black 80, a Glaslyn born male has bred at since 2009. This is now the second new Glaslyn chick to be sighted in the UK this year, adding to the six we already know to have successfully bred in the UK. Did we mention Mrs G has 36 fledged chicks and 74 ‘grandchicks’? 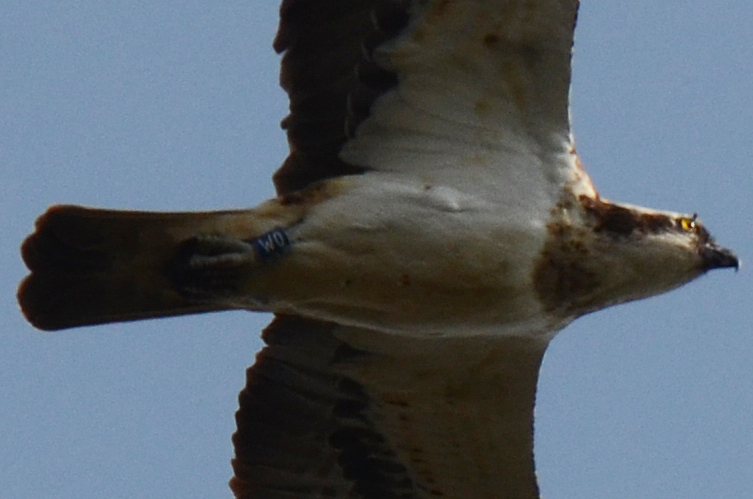 What a remarkable contribution to the osprey population. This week, Mrs G and Aran have mostly been around the nest area, tidying, bringing nesting material and scraping the nest cup ready for eggs. Perhaps you’d like to see this rather funny video of Aran nest scraping again. 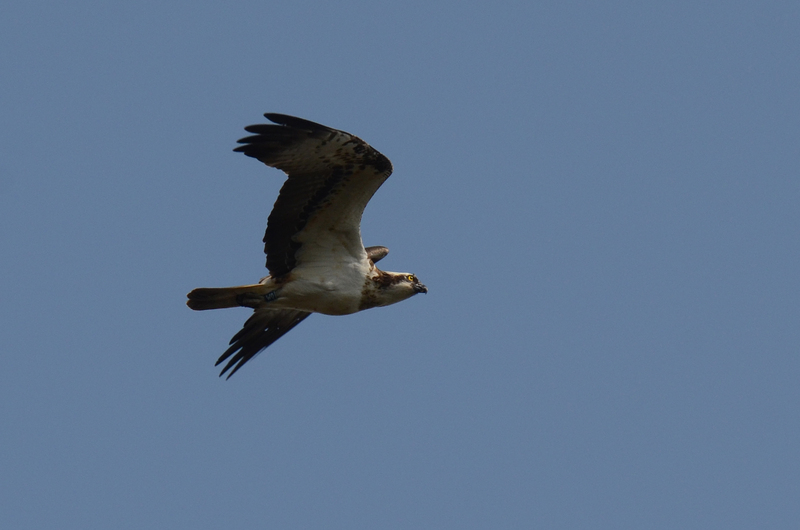 There have again been many intruding ospreys around the Glaslyn valley, with one male giving a spectacular sky dance near the Visitor Centre. All this activity feels very promising, but we have not yet been able to identify any of the intruding birds. 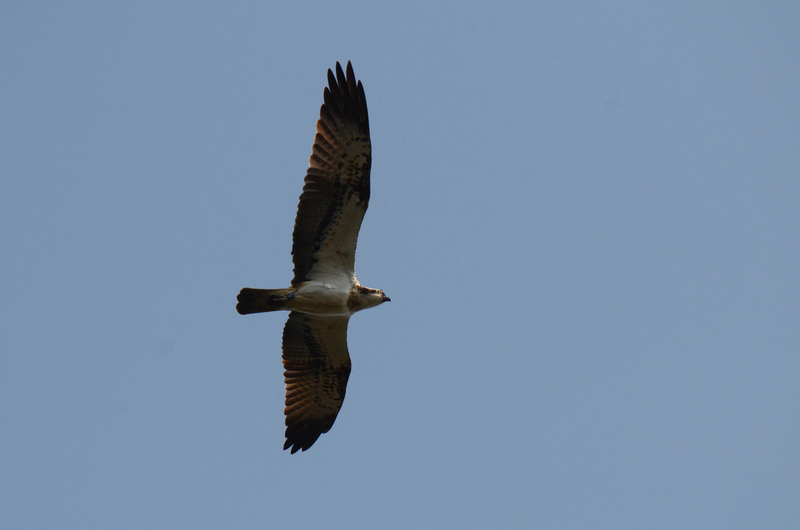 We will be sure to let you know if we get a confirmed ring sighting of any visiting ospreys. Clwb Gweilch Glaslyn – our nature club for children 7-11 starts back next week.